This is the large-sized Cahaba Snake Trap which measures 32"L x 10"W x 2.5"H. This trap is made of an outdoor commercial grade plastic which makes it weather resistant and completely reusable. Comes complete with three (3) glue pad inserts. This trap can handle the largest of nuisance snakes, and they can be released unharmed, if desired. 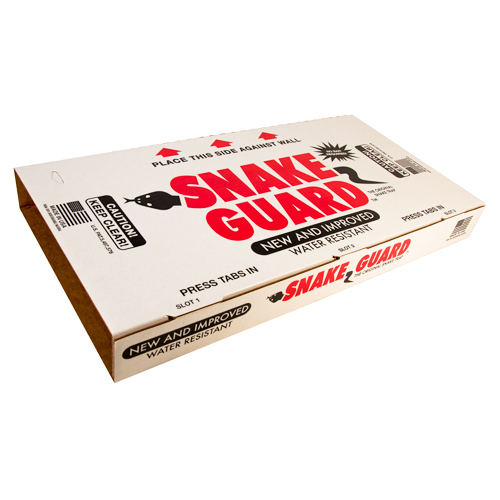 Ordinary cooking oil or a spray such as PAM "neutralizes" the glue and the snake can easily be released unharmed.